The Kymco Agility Carry is the perfect delivery scooter for those who need an efficient, affordable and versat ile transport solution. Purposely built for delivery the Agility Carry is fitted with two transport racks front and rear, boasting superior load capacity of 30kg on the rear and 15kg on the front. An optional 85-litre box is available for the rear carrier. Under-seat storage is a handy addition over the competition, providing further storage options. Powered by a proven air-cooled, four-stroke, 125cc, single cylinder engine with a continuously variable transmission that is economical to run with low service costs. 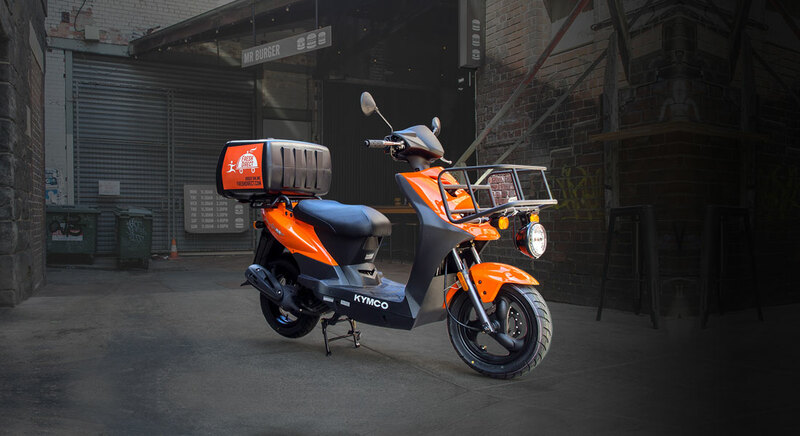 The Agility Carry has an impressive blend of modern craftsmanship matched with practical transport solutions, far superior to any rival delivery scooter.